With the draw of the local mountains and lakes, vacation homes, or condos, make an ideal investment for those who have a passion for travel. Southern California, replete with both natural and man-made attractions, provides ample opportunity for occasional getaways and income through rental situations. Owning a vacation property is quite similar to owning your primary residence, with all of the same needs for comfort and function. Furniture and other supplies will need to be added to a vacation property in order to provide that "home away from home" feeling for your family, guests, or renters. The issue that often arises with a vacation home or condo is that storage space is inadequate, allowing very little room to accommodate storage of seasonal items. Additionally, when a property is rented, there may be certain things that you wish to maintain for personal use only. A vacation home may have different needs at different times of year. Summer items like small patio fire pits, grill supplies, and outdoor games or decor can be placed into a storage unit to keep them in their best condition, and your closets and garage maintained for regularly used items. It can also be a good idea to store valuables such as electronics if the home will be unoccupied for many months at a time. Outdoor furniture can be affected by weather, even when made from materials designed to hold up to various elements. Summer furniture can be placed into storage during winter months, rather than moved inside or into the garage, so that the home remains comfortable for winter use and furniture is preserved for many years of summer use, without developing a musty smell or mildew problems. Having local waters to enjoy when the weather is nice adds value to a vacation property. However, the fun toys that are used in the water need a proper storage place. Often, such items are larger, like inner tubes, water skis, jet skis, or even boats. Not only does the standard vacation home typically have little room for such items, you want to ensure the safety of these valuables. Watercrafts require special types of storage that will ensure their readiness when the time comes to get back out on the water. Having necessities available in your vacation property is a wonderful benefit. However, it is important to ensure the protection of various belongings throughout the entire year. With a local, secure storage facility, you gain peace of mind in those times when your property will be unoccupied or rented. 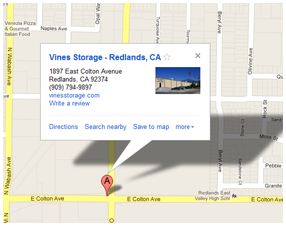 We're here to assist you with all of your storage needs. Contact us for more information about personal, boat, or RV storage.